Spacetime Studios, developer of Arcane Legends and Pocket Legends, has an upcoming multiplayer online battle arena (MOBA) game slated for mobile devices. 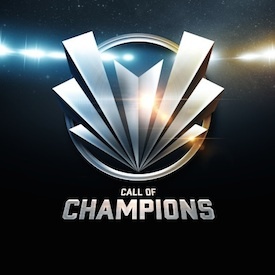 This game, titled Call of Champions, condenses the genre into five-minute matches with two teams containing three players each. The trailer, which I scored, was released today. Typically, the real-time aspect of a MOBA game makes for rather long sessions of play; however, Spacetime Studios realizes that kind of time is not meant for mobile devices. Gameplay should be smooth and completed in bursts of time. Players take control of Champions as they battle others for supremacy inside an arena. The game will be released for Android and iOS devices later this year for free.